Are you willing to invest in equipment which could save a lot of space and therefore investment costs? Do you want to increase the capacity of your warehouse by 100% compared to using classic stationary racks? 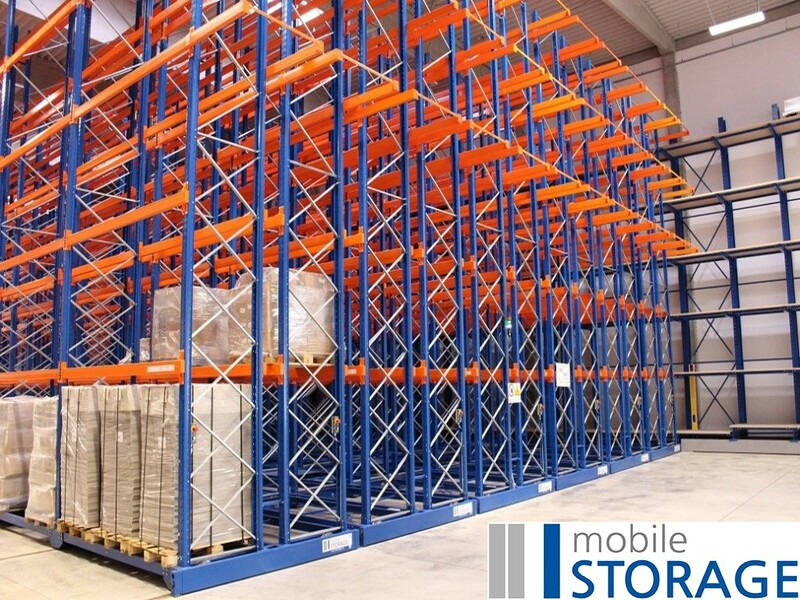 Do you want to double the current capacity of your warehouse that has stationary racks? Do you want to save operational costs (especially freezer plants)? Do you need to use the FIFO method? Do you need diagnostics, safety features and the ability to equip your racks with semi-automated elements? Will you use forklift trucks to move your EUR pallets, (or pallets of different sizes) up the height of 12 m? If you answered yes to these questions, our mobile racks can help. 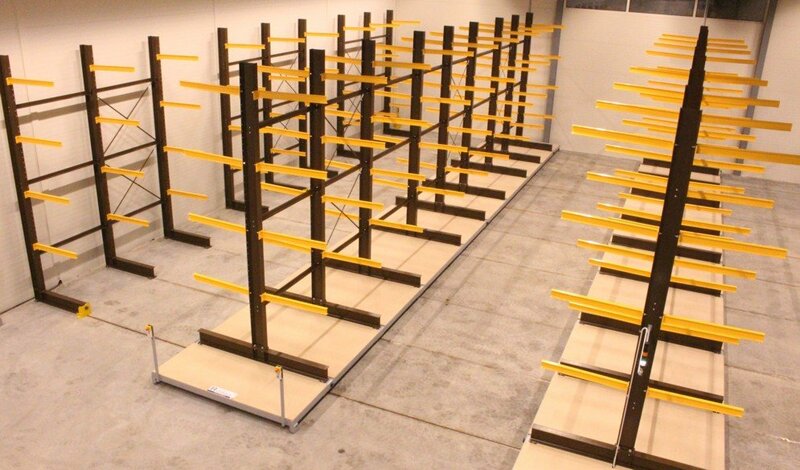 Our systems are made of rails embedded into concrete floors and mobile bases with mounted racks for pallets. Everything is controlled by an electric system with functional and safety elements. Our company will make sure that your premises are measured properly and will work with your flooring company (whether the floors are new or reconstructed). We also offer assembly and geodetic measurement for your newly installed rails. The higher the number of stored pallets, the better this investment is. The system may be additionally connected to a warehouse software management software (WMS) or manipulation using automatically guided vehicles (AGV). Mobile cantilever systems are a system with the same functional and safety elements as our systems for storing pallets. They are a system of rails installed into the concrete floor with mobile bases. The only difference is in the mounted rack, which is made of supporting columns and consoles for storing coils, bar material and sheets. These racks are especially used in machinery, metallurgical wholesales and the wood industries. The load of each console is often a couple of tonnes, which, due to high storage capacity, makes this equipment suitable for storage in machinery and metalworking. An even more sophisticated model of this system is a rack with telescopic roll-out arms where material is stowed using ceiling cranes.